Every year since 1945, a great artist has created an original artwork for the Château Mouton Rothschild label. Thus, on the initiative of the Château’s owners, the most famous names are brought together in a collection to which a new work is added each year. The commission to illustrate the 2010 vintage was given by Baroness Philippine de Rothschild to the American sculptor Jeff Koons, born in York (Pennsylvania) in 1955 and a leading figure of contemporary art. In the vein of Pop Art and kitsch, Koons takes familiar objects and uses a wide variety of techniques to illuminate them with colours, distort and recreate them. For a time he was the world’s most expensive living artist, while the exhibition of his works at the Château de Versailles in 2008 aroused high passions. Koons also revisits Antiquity, as with this Birth of Venus, a fresco from Pompeii, which his silver drawing turns into a Venus with Vessel – both the cup which holds and the ship which, under a bright sun, bears off into the distance an exquisite wine…Surely Mouton Rothschild 2010! A Premier Cru Classé, Château Mouton Rothschild comprises 84 hectares (207 acres) of vines at Pauillac in the Médoc, planted with the varieties typical of the region: Cabernet Sauvignon (83%), Merlot (14%) and Cabernet Franc (3%). This First Growth benefits from exceptionally favourable natural conditions, in the quality of the soil, the position of its vines and their exposure to the sun. Combining a respect for tradition with the latest technology, from grape to bottle it receives meticulous attention from highly skilled winemakers and vinegrowers responsible foreach parcel of the estate. The grapes are harvested by hand in small open baskets, sorted on vibrating tables and vinified in oak vats, after which the wine is matured in new oak casks. 2010 was a dry and relatively cool year, with an ideal amount of sunshine and a few showers at just the right time, in mid-June and early September. A dry and cool spring was followed by a generally dry summer with some very hot spells. The harvest took place in excellent conditions between 28 September and 13 October. Naturally concentrated, the grapes were small and their juice, rich and highly coloured, displayed good acidity. The wine is a dark and intense red with a blueish tint. With Cabernet Sauvignon predominant, it displays a complex range of aromas. From lightly toasted vanilla notes, the nose opens with airing to reveal fruit aromas, especially blackcurrant and black cherry. Powerful and well-integrated tannins reveal exceptional depth and roundness on the palate, ending on a fresh and mineral finish. Length, elegance, harmony: Mouton Rothschild 2010 promises to be a remarkable vintage – and a worthy successor to the 2009! Our team was extremely proud to hear that our Hamilton Russell Vineyards 2010 Chardonnay was selected as one of the “Year’s Most Exciting Wines” for the 2012 Wine Spectator’s Top 100 wines worldwide. At position number 32 our Chardonnay is the second highest placed Chardonnay out of only five on the Top 100 and has achieved the highest place to date for a South African Wine. This beats the previous most highly placed South African wine, our 2007 Hamilton Russell Vineyards Pinot noir. Pinot Rhein, das sind die fünf Winzer Hansruedi Adank Fläsch, Hanspeter Lampert Maienfeld, Ueli und Jürg Liesch Malans und neu Marco Casanova Zizers. Sie entschlossen sich 2006 zum ersten Mal, einen gemeinsamen Wein, den Pinot Rhein, zu keltern. 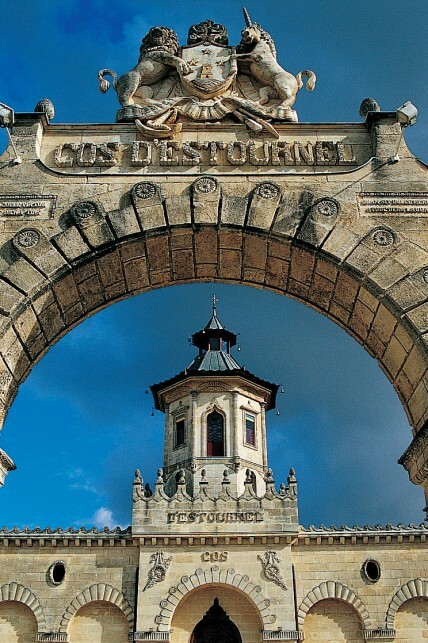 by Adam Lechmere, and Jane Anson in Bordeaux – Cos d’Estournel has released its 2011 today at €108 per bottle ex-negociant, 45% less than last year but still 40% more than other vintages. UK merchants are selling the wine at £1200 a case. The second wine, Pagodes de Cos, comes out at €30, down 25% on last year. A third release comes from Pomerol’s Chateau Gazin, at €42, down 12.5% on last year. Cos d’Estournel has for several years been one of the most renowned – or notorious – wines of the Medoc. Managing director Jean-Guillaume Prats tripled the price in 2009: the 2008 and 2007 vintages were released at €65 a bottle, while 2009 was released at €210. The 2010 was released at €198. The general feeling in Bordeaux, one observer said, is that ‘Cos still hasn’t done enough after tripling the price in 2009, and there are lots of cheaper vintages out there.’ Those after bottled vintages of Cos from the less stellar vintages can choose from the 2001, 2004 or 2008 at around £850-900 a case. Ungeachtet des mengenmäßig kleinen Jahrgangs 2010 (circa 30-50% unter dem durchschnittlichen Ertrag) und den daraus resultierenden Herausforderungen hinsichtlich des Wirtschaftsjahres 2011, ziehen die nahezu 200 Prädikatsweingüter Deutschlands eine überaus positive Bilanz 2011.
by Rebecca Gibb – The French grape harvest is predicted to exceed 47 million hectolitres (hl) this year – an increase of 6% compared to 2010. According to figures published by the French ministry of agriculture and fishing, the nation’s vineyards will bear 47.9m hl of fruit, an increase on last year’s small crop. by Adam Lechmere – A fire has destroyed the three-storey chai at Chateau de France in Bordeaux, and ruined a large part of the 2010 vintage. The fire at the Pessac-Leognan property started around 7.30pm on Monday in the chateau’s cellars, local newspaper Sudouest reported. It is unclear exactly how much of the 2010 vintage has been destroyed or ruined by the fire, but by Tuesday morning, Sudouest said, it was obvious the damage was considerable. A police inquiry will determine the cause of the fire, described by a spokesman for the fire service as ‘intense’. by Adam Lechmere – As the 2010 en primeur campaign draws to an end, merchants around the world are emerging into the daylight, dusting themselves down – and finding they have had a more successful 2010 than they had expected. by Adam Lechmere – The Bordeaux market has begun to regulate itself, and fears of a bubble are ill-founded, the head of the Union des Grands Crus has said. Sigi Hiss – Das Pomerol Weingut Le Pin hat den den Subskriptionspreis für ihren 2010er bekanntgegeben. Cheval Blanc, Petrus, Mouton Rothschild & Konsorten sind im Gegensatz zu Le Pin richtiggehend günstig: satte 1300.- Euro / Fl. – das sind 15.600 Euro pro Kiste. Produziert wurden weniger als 1000 Kisten. Ein Londoner Händler hat schon 10 Kisten 2010 Le Pin verkauft. by Adam Lechmere – A senior executive at Chateau Cheval Blanc has vigorously defended the company’s policy on pricing the 2010 vintage. The LVMH-owned St Emilion first growth’s opening price of €900 from negociants, 21.4% more than its 2009 price of €700, has been received with a good deal of hostililty by wine merchants, and on Twitter. by Adam Lechmere, and Jane Anson in Bordeaux – Chateau Latour has finally released its 2010 in one allocation, according to reports. The last of the first growths to release, Chateau Latour came out at €650 from the chateau, €780 per bottle from negociants. by Adam Lechmere, and Jane Anson in Bordeaux – Chateau Latour has broken ranks with the other first growths by releasing its second wine at a much higher price than its peers. Forts de Latour is €162 per bottle ex-negociant, compared with €108 for the other second wines – Margaux’s Pavillon Rouge, Carruades de Lafite, Petit Mouton and Le Clarence de Haut Brion. by Adam Lechmere, and Jane Anson in Bordeaux – Chateau Lafite Rothschild has released at the same price as its peers – and as far as price is concerned, La Mission Haut Brion is now a first growth. The much-praised Graves property, neighbour and sister to bona-fide first growth Haut Brion, La Mission has come out at exactly the same price as Lafite Rothschild, Mouton Rothschild and Margaux at €600 per bottle ex-negociant. Its second wine is level with those properties’ second wines at €108. Every wine presented at the En Primeur tastings in March has been translated into simple text Chinese, and is available at Decanter.com/china. Ein schwierig zu meisterndes Weinjahr, das qualitativ gute, aber quantitativ bescheidene Ernten ergab, sowie der Aufbau einer starken kommerziellen und logistischen Partnerschaft mit der Bataillard AG haben das Jahr 2010 von Provins geprägt. Bordeaux prices – but owner Florence Cathiard has fiercely defended her decision. Chateaux Lagrange, Grand Puy Lacoste, Leoville Barton, Leoville Poyferre, Smith Haut Lafitte have now all released their prices on the 2010 vintage. Some are considerably higher than last year: Pessac-Leognan stalwart Smith has come out at €77, almost 50% more than 2009 and almost double its 2005 opening price. Decanter: Bordeaux 2010 – Gruaud Larose release to open floodgates? by Jane Anson in Bordeaux, and Adam Lechmere – Chateau Gruaud Larose has just released its price for the 2010 vintage – prompting Bordeaux insiders to predict the floodgates will open. Gruaud Larose, a second-growth and the highest-profile property to declare its price in the slowest en primeur campaign for at least ten years, will be €45 ex-Bordeaux, up 14.2% on last year. Other important releases include Chateau d’Armailhac (at €32.40 ex-Bordeaux, +17.4% on 2009), Chateau Haut Bages Liberal (€27.50 ex-Bordeaux, +12.2% on 2009) and Chateau de Fieuzal (€25.20 for the red, +10.5%).